Running for president is the most extraordinary thing I've ever done in my life and I leave this race without an ounce of regret. On the day before New Hampshire’s First In The Nation Presidential Primary, Governor Chris Christie received the public endorsement of two of the state’s most dedicated Veterans advocates, Gold Star Mother Natalie Healy and VFW State Commander Lew Chipola. 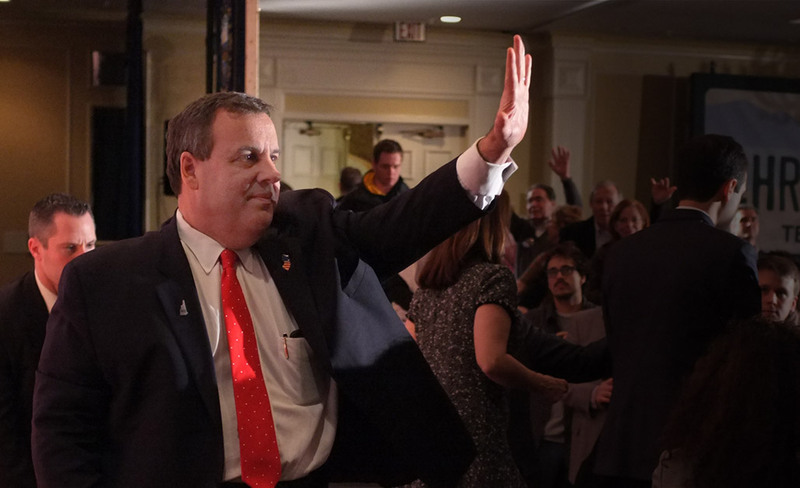 Watch Governor Christie at the 8th Republican Debate in New Hampshire. Today, Massachusetts Governor Charles Baker and Lt. Governor Karyn Polito announced their endorsement of Governor Christie for President of the United States. Christie is tough enough to lead in a post-9/11 world. America's foreign policy was once defined by clear, principled leadership. We stood for the defense of freedom everywhere, and the defense of our homeland at all costs. Now no one understands what we stand for, or who we stand with or against. New Hampshire, I'm asking for your vote. But I'm asking for your trust and confidence too. Boston Herald Endorses Christie - "Tested leader for troubled times"
Gov. Chris Christie is a smart and principled candidate with a real shot at uniting his party and broadening its appeal in November. Starting now this race gets serious, and Christie is a serious candidate. At a press conference in Concord today flanked by several additional members of Senator McCain’s former New Hampshire leadership teams, Peter Spaulding announced his support for Governor Christie. Video - True Heart Episode 2: "Have You Ever Cried In Office?" This episode features a moment from a town hall in Peterborough, New Hampshire during our bus tour right before Christmas.